The European Union decided last week to ban all incandescent light bulbs by 2010. This occurs as Australia, Cuba and the Philippines did the same last year. This is important as the EU and its 27 members accounts for nearly half a billion inhabitants. This law is due to cut by sixty percent the amount of energy used for lightning. The WWF did more calculations on the projected savings induced by such a move toward sustainability and energy conservation. 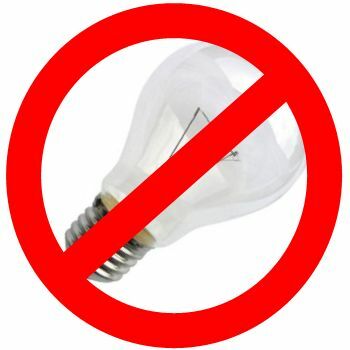 EU Energy Ministers decided in Luxembourg last week to ban incandescent light bulbs in Europe as of 2010. The move comes just a few days before the lifting of EU import duties on energy-saving lamps from China, which will help bring down retail prices of the most efficient light bulbs. (…) Incandescent bulbs consume three to five times more than efficient lights, such as integrated compact fluorescent lamps (CFLs). The replacement of the worst-performing lamps with today’s best available technology will contribute to the reduction of domestic energy consumption for lighting by 60 per cent in the EU, equivalent to some 30 million tons of CO2 annually. The massive switchover, which will affect all of the European Union’s 500 million citizens, was first ordered at a Brussels summit last year as part of an ambitious energy policy to fight climate change. Support for the new bulbs has proved controversial in the past as they are considerably more expensive. However, more efficient lights will be cheaper in the long run as they use significantly less energy and last longer. The ban of energy-intensive lamps will also increase demand for more efficient products such as CFLs and light-emitting diodes (LEDs). (…) While I support the EU’s decision, and without getting into any arguments about CFLs and the issues of mercury/harsh lighting/higher cost that have been beaten to death, I do have to bring up this previous post. We shouldn’t get hung up on CFLs as the only lighting or energy saving solution. CFLs are a good alternative to incandescent bulbs now, but we have to keep pushing towards better technology, whether it’s improved LEDs or something we haven’t even discovered yet. I hope that these government bans won’t contribute to a complacency in lighting technology and will instead inspire the world’s great minds to think even bigger. Indeed, light bulbs should be only a beginning. Major emitting sectors like transport or housing should be targeted next. To infer this article, I would like to note that I have been using CFLs for two years now and am very satisfied of them. So, if you still haven’t switched, why not doing so now ?